Get the latest research and easy access to today’s most important diagnostic and lab tests! 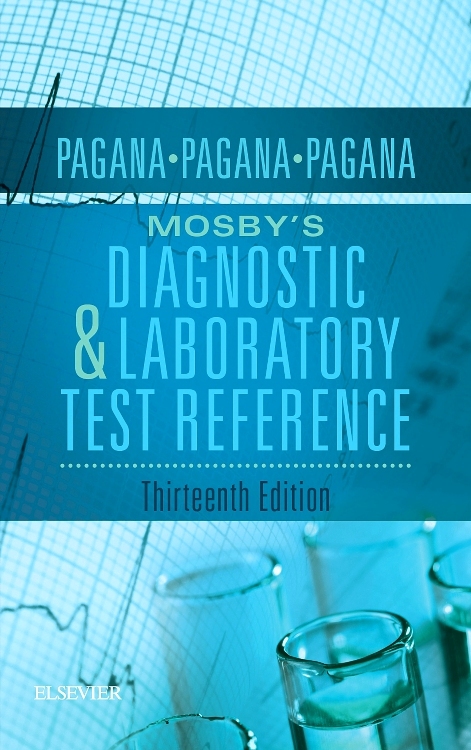 Known for its accuracy, currency, and clear, easy-to-use format, Mosby’s Diagnostic & Laboratory Test Reference 14th Edition features concise test entries that are arranged alphabetically and reflect the latest in diagnostic and lab testing and research. 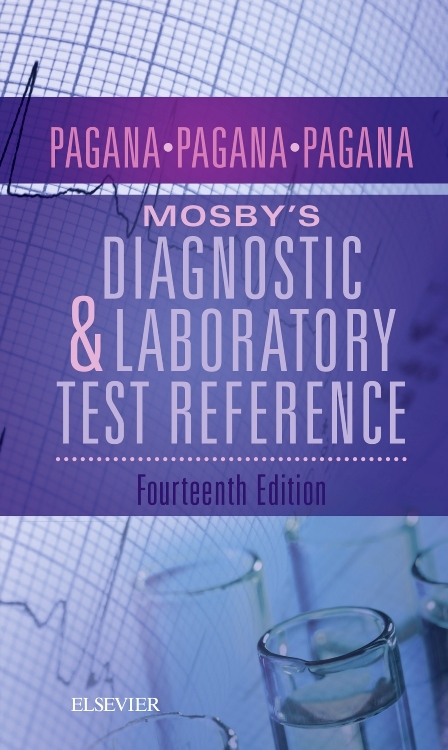 This new edition adds 15 tests with vital information such as alternate or abbreviated test names, test explanation, normal and abnormal findings, possible critical values, and guidelines to patient care before, during, and after the test. Plus, all related tests are cross-referenced throughout the book to simplify lookup. A compact size, durable cover, and A-to-Z thumb tabs make this market-leading book ideal for everyday use in the classroom and on the job! Alphabetically organized tests offer quick reference with A-to-Z thumb tabs, so you will never have to search for a test by having to first determine its correct category or body system. Each test entry begins on a new page, making tests easy to find. Possible critical values are highlighted to show situations requiring immediate intervention. Abbreviations for tests are listed in the back of the book, and symbols and units of measurement are listed in an appendix. NEW! Test entries include the latest diagnostic tests and laboratory procedures, featuring 10 new monographs and 15 additional tests. NEW! Content reflects the latest research on the diagnostic values of results, accuracy of testing, and patient care and education for each test. NEW! Common Reference Ranges section added to the Inside Front Cover material.